Big Hit Entertainment Co., the creator behind K-pop superstar BTS, reported best-ever profit last year in line with the global rise of the boy band and blockbuster sales of its albums at home and abroad. The Korean agency said in a disclosure on Tuesday that its net profit for 2018 fiscal year jumped 105 percent from a year ago period to 50.2 billion won ($44.3 million) and its operating income 97 percent to 64.1 billion won. Revenue surged 132 percent to 214.2 billion won, its best since inception. In 2018, Big Hit Entertainment sold 5.15 million albums in total, based on official statistics from Gaon Chart, including more than 4.05 million albums of BTS’s “Love Yourself Jeon: Tear,” and “Love Yourself Gyeol: Answer.” The entertainment agency also raised sales from BTS’s “Love Yourself” world tours where over 810,000 fans attended. The company’s sales growth was also led by growing demand for albums in general, contents, merchandising, and video publication. An unnamed official from Big Hit Entertainment said that BTS’s record-breaking performance combined with overall business expansion have led to best-ever results in 2018 in terms of sales and return. It also noted that the company continued to improve and transform the organization to bring innovation in the business model of music industry and was able to launch new projects. 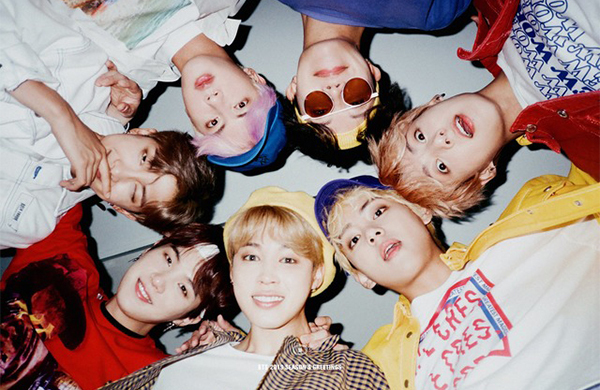 Pre-orders for BTS’s new album, “Map of the Soul: Persona,” meanwhile, have reached 2.5 million in less than one week. According to Big Hit Entertainment and BTS’s album distributer iRiver, pre-orders for the new album reached 2,685,030 copies in total from March 13 to 17 at home and abroad.